First holiday begins on the first of January 2015, which is the New Year. Followed by Papal visit, Chinese New Year and on February 25, the commemoration of the EDSA Revolution. That being said, holidays for laborers gives additional income. Now see the list! 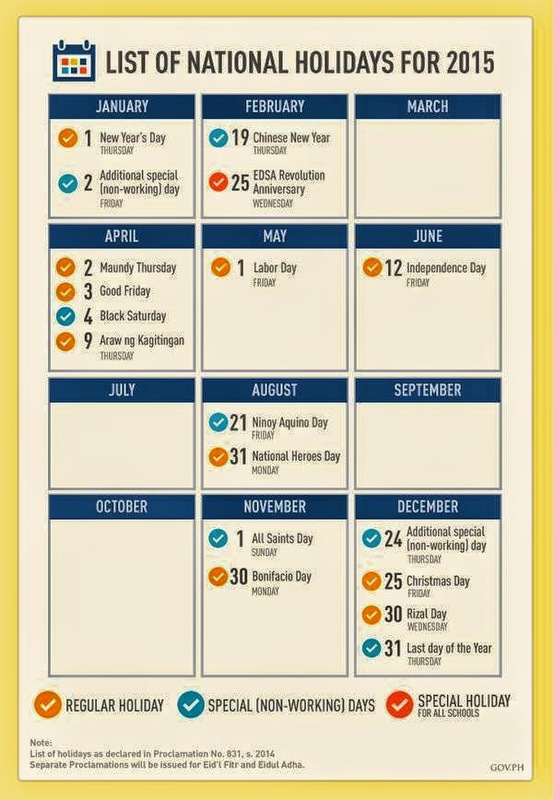 Thank you for reading List of Philippine Holidays for the Year 2015 posted on the website Kwentology if you want to redistribute this article please include the link as the source. Have some kuwento to share? Contact us!